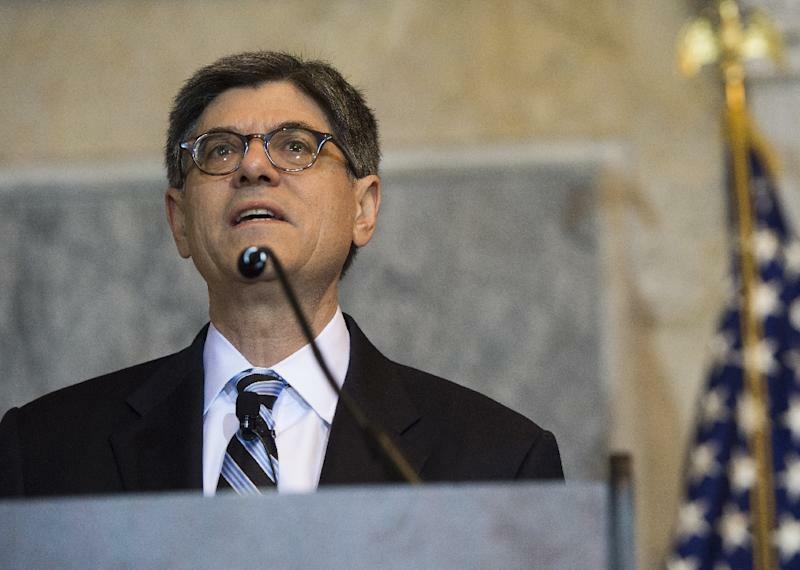 Washington (AFP) - Puerto Rico's economy is collapsing, US Treasury Secretary Jacob Lew said Friday as he announced a visit to the US territory two weeks after its debt default. In a letter to Congress, Lew urged passage of bankruptcy legislation for the Caribbean island weighed down by $70 billion in debt and the effects of a decade of recession. "Although there are many ways this crisis could escalate further, it is clear that Puerto Rico is already in the midst of an economic collapse," Lew said in the letter, addressed to Speaker of the House of Representatives Paul Ryan. "In order to assist the 3.5 million Americans living in Puerto Rico, Congress must pass legislation for the president to sign into law before the end of March." He noted that Puerto Rico's government is now shifting funds away from one creditor to pay another, and has stopped payments altogether on some of its bonds. After it missed $37 million in payments early this month, and pulled another $163 million from escrow for some bonds to service government debt, creditors have filed suit, complicating the situation. Meanwhile, Lew said, the island's government is cutting back spending and raiding pension and other assets to keep going, exacerbating both its financial and economic problems. "The worsening fiscal and economic situation means real suffering for the people of Puerto Rico: basic healthcare, legal, and education services have been impaired," Lew said. "To address the crisis, Puerto Rico needs federal legislation that pairs an orderly process to restructure its debts with strong, independent fiscal oversight to remedy its history of fiscal mismanagement." Lew will visit the island on Wednesday to discuss the situation with top officials. But he warned that without action in Congress, the US federal government has few options for supporting the island. "Only Congress can enact the legislative measures necessary to fully resolve this problem.... It is time for Congress to act to provide order to a chaotic and worsening situation.